So Mr TA83. We all know when you gotta go, you gotta go! But really man? You had to also block the island main road? You couldn’t pull off on to that huge cleared area on the right side of the road and maybe pee in the bush as well? Thanks for blocking the road and for the show. 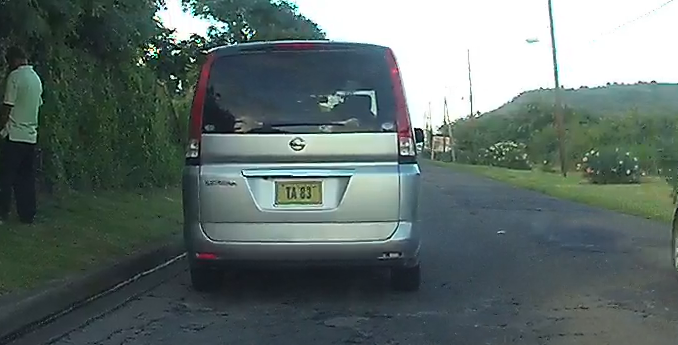 The tourist bus behind me enjoyed the show too – thanks for making St Kitts beautiful for tourists!